As a graduate student in the Hollon Research Group, Noah is exploring how virtual reality can be used to treat addiction, depression and anxiety. He is using virtual reality at Journey Pure, an in-patient drug rehabilitation center for patients with co-occurring substance use and mental health disorders. Noah eventually plans to conduct clinical research through Internet-based virtual reality treatments. Over the past year he has explored how virtual reality can be used to help regulate the emotion and treat psychopathology. He has observed surprising results, with patients reporting that recreational VR significantly decreases negative affect and increases positive affect for a period of hours or days. 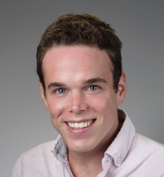 Noah recently received an NSF I-CORPS grant to travel the country and interview clinicians, providers, and patients on the potential barriers to implementing a VR-based addiction treatment solution.